New Orleans is glorious. 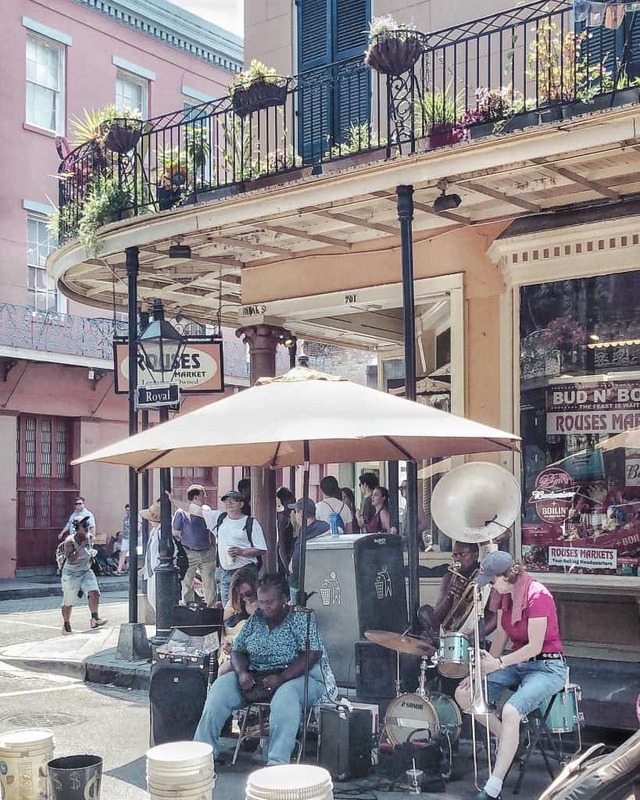 You can carry your libations down the road, live music permeates through the streets at all hours, and fried dough with powdered sugar is the signature treat. You know who clearly had the same affinity for New Orleans? Walt Disney. Almost every activity we did over the course of my time in NOLA paralleled some aspect of the Disney amusement parks and the real life New Orleans version is even more exhilarating. Disney amusement parks are awesome at any age, but don’t you ever wish you could have that same enthusiasm and imagination you had as a kid just once as an adult? Well, I figured out the solution and that is visiting New Orleans and experiencing the real life magic of the city. 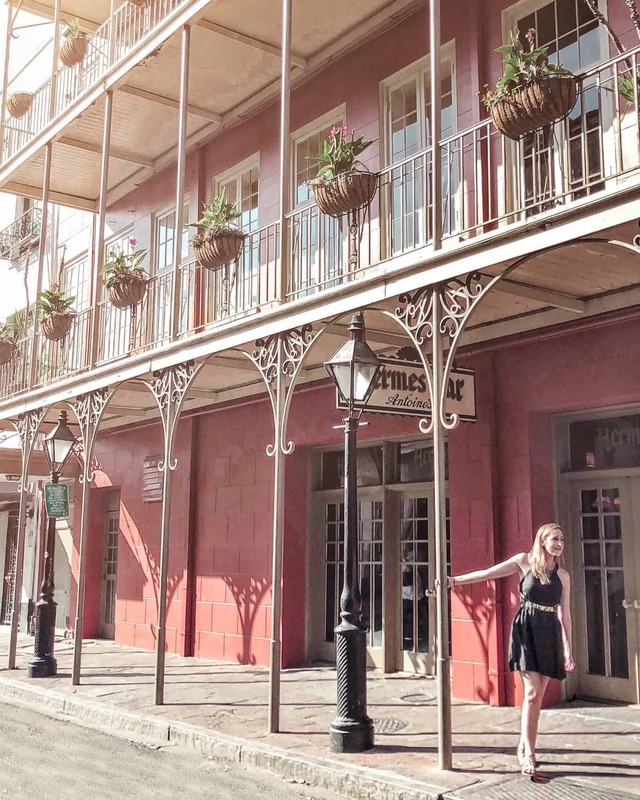 So, if you are heading to New Orleans for any period of time, make sure to include all of these activities on your itinerary. 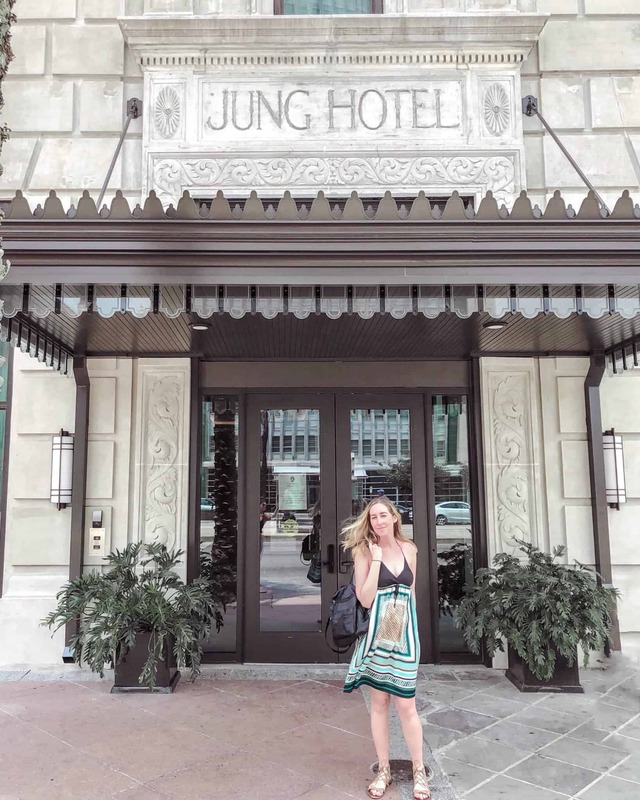 During my trip to New Orleans, I was lucky enough to be hosted by the Jung Hotel & Residences which was very exciting because the hotel had officially reopened only a month prior. Just like the rest of the city, which is celebrating its 300th birthday this year, the Jung Hotel & Residences has a long history; the Jung Hotel & Residences first opened its doors in 1908. 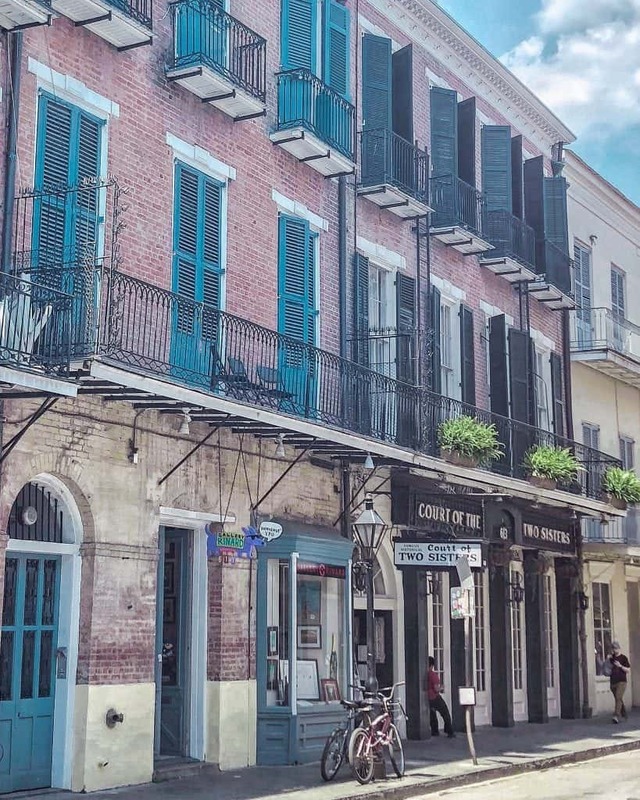 The property is located on Canal Street and is about a mile from the French Quarter. It’s just far enough away where you have a little reprieve after a long evening out, but the street car is located directly in front of the hotel, so it is super easy to go back and forth. The best part of the hotel is that the rooms are incredibly spacious. 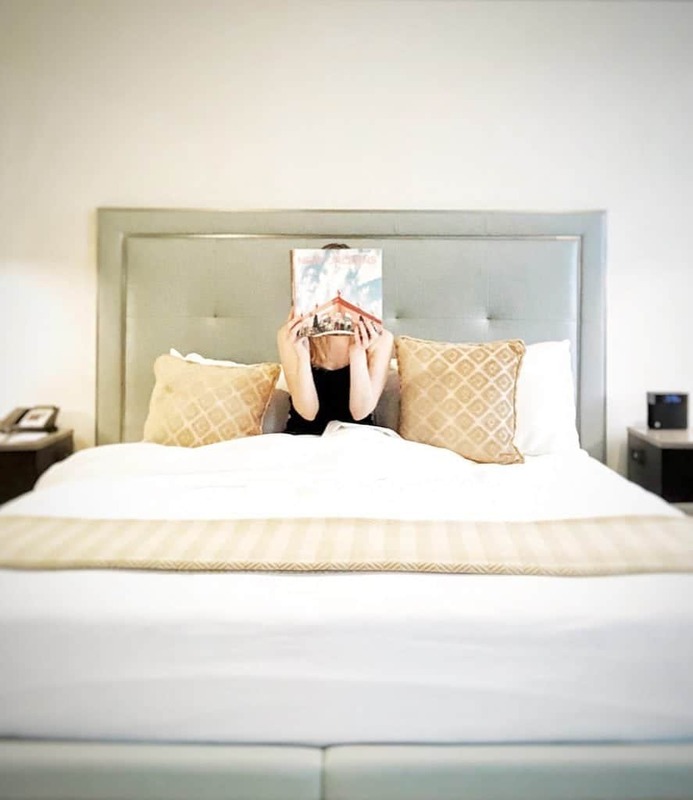 Back in the 1970s, the hotel had 1200 guest rooms, but it has been completely reimagined and is now a complex with only 207 hotel rooms and 113 apartments. The emphasis on the decor is quite striking and the design is absolutely beautiful. Thank you to the Jung and all of the staff for such a welcoming visit and for enabling me to explore the best parts of New Orleans. Let me begin with my favorite part of the trip: the swamp tour. While the tour might not be an exact replica of the Jungle Cruise —New Orleans isn’t exactly in the middle of the African Jungle or the Amazon —the Louisiana Swamp is probably the US version. Never in my life did I expect to be in an open-air boat in the middle of the Honey Island Swamp with 18 alligators swimming around me. And no, 18 is not an exaggeration. I’ve paraglided off a mountain in Switzerland and let me tell you, having 18 alligators swarm the boat is a comparable adrenaline rush. Also, remember those corny jokes that the guides make on the Jungle Cruise? Well, get ready because they are delivered tenfold here on the swamp tour whether the jokes land or not. The captains just loveeee making you jump with the talk of snakes and bugs that may or may not fall into the open boat at any given time. 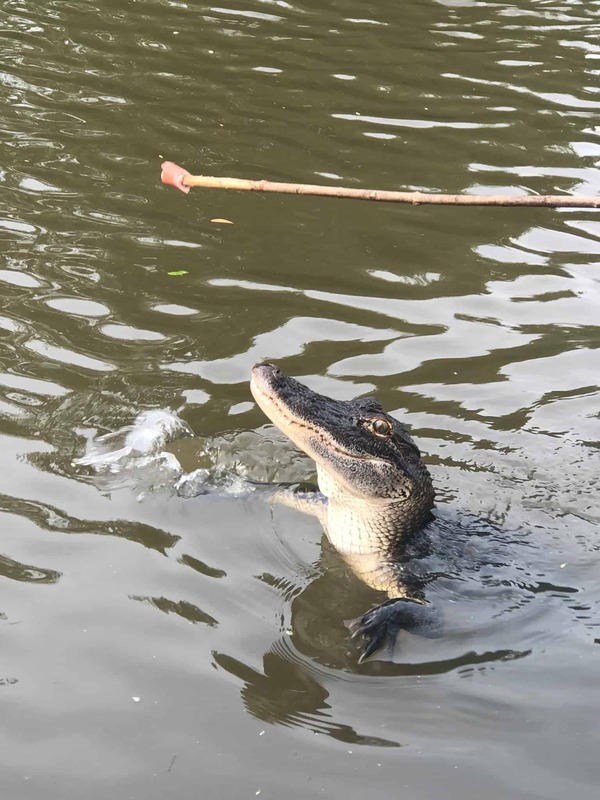 And while the alligators are the primary focus of the tour, you will see a variety of animals like raccoons, wild boars, snakes, owls, spiders, etc. I also loved getting a little glimpse into swamp living. It was fascinating to learn how the stilts that hold up the homes are continuously raised even with the residents living there. All we needed was a little Dole Whip at the end of the tour and the day would have been perfection. 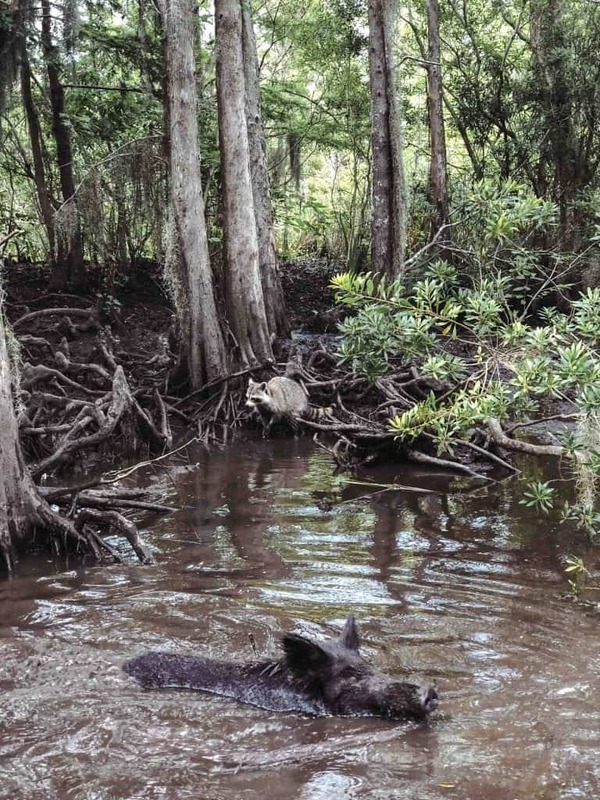 I went on a two-hour boat ride with Cajun Encounters. The tour is about 45 minutes away from the French Quarter. You can provide your own transportation for a less expensive ticket price of $29 for adults, $19 for children under 12 or you can choose hotel pick-up for $56 adults, $36 children under 12. The boats typically hold 22 passengers. Be sure to bring water, sunscreen, bug spray, and a hair tie! You may not use your fast pass to go on the steamboat at Disney since it’s a touch underwhelming during the day; however, I think we can all agree that at night, when all of the Disney characters are dancing and singing on the steamer, it is probably the most magical sight in all of Disney. 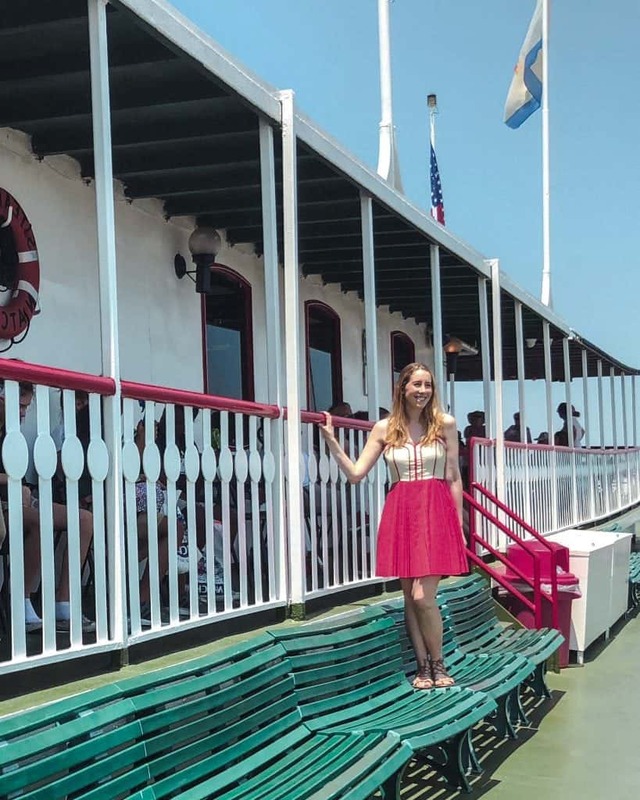 All of my Fantasmic dreams came true in New Orleans because you can ride the Natchez, the pride of the Mississippi river, all the while enjoying the views, sipping fresh libations, listening to some live jazz, and enjoying a buffet lunch. The two-hour Harbor Jazz Cruise has both a 11:30 AM and a 2:30 PM cruise Monday through Saturday. The ticket price is $46 (adult) and $23 (child) including buffet and $34 (adult) and $13.50 (child) without lunch. I would strongly recommend doing the buffet lunch because the food actually was quite delicious and exceeded all expectations. The boat departs from the Toulouse Street Wharf in the French Quarter which is right across from Jackson Square. There are also Sunday brunch options and dinner cruises, so a ride on the Natchez is easy to include in your New Orleans itinerary. There is a reason that beignets at Cafe Du Monde are on every New Orleans to-do list. Who doesn’t adore warm, deep-fried dough and overly excessive amounts of powdered sugar with a side of Cafe Au Lait? Cafe Du Monde is kind of a right of passage in NOLA which is probably why Disney got on board with their Mickey Mouse- shaped beignets from the Mint Julep Bar at Disneyland. As cute as those Mickey beignets may be, the real life version tastes so much better. 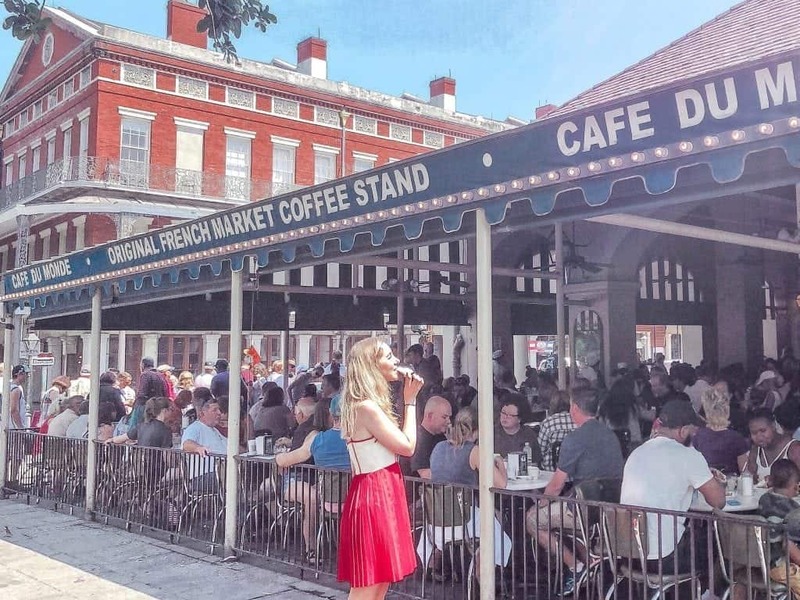 You really have no excuse to not go because Cafe Du Monde is open 24/7, so if you go when there is a long line, come back at an off time! I went on a weekday at 10:00 AM which is prime breakfast hour and at first, I thought that there was a long line, but it just ended up being a bunch of confused people who were unsure of where to go. You actually seat yourself and we were able to do so immediately. 2-3 beignets per person is probably the perfect amount and remember that Cafe Du Monde is cash only so bring a $20 with you for the squad. How many of you rode Pirates of the Caribbean as a kid and desperately wanted to eat at the super fancy, really dark restaurant at the beginning of the ride? Well, one day, all my Blue Bayou dreams came true and I realized the food was kinda mediocre and it was actually too dark to see anything. Then I went to New Orleans and ate at a lot of classy restaurants. And woah. The restaurants here really put the fine in fine dining. The establish in establishments. 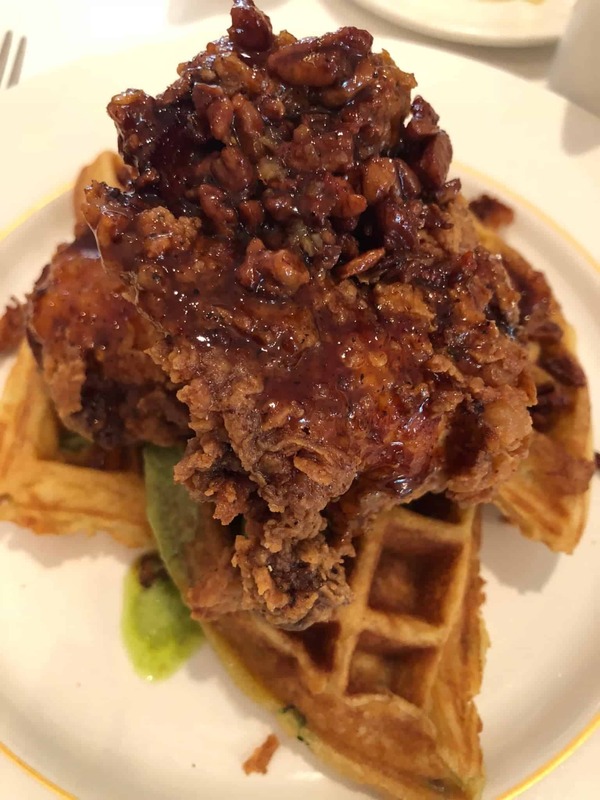 The truth is that while I ate quite well on this trip, I actually would not have really seen such a breadth of restaurants had it not been for the cocktail walking tour that I did which I HIGHLY recommend. 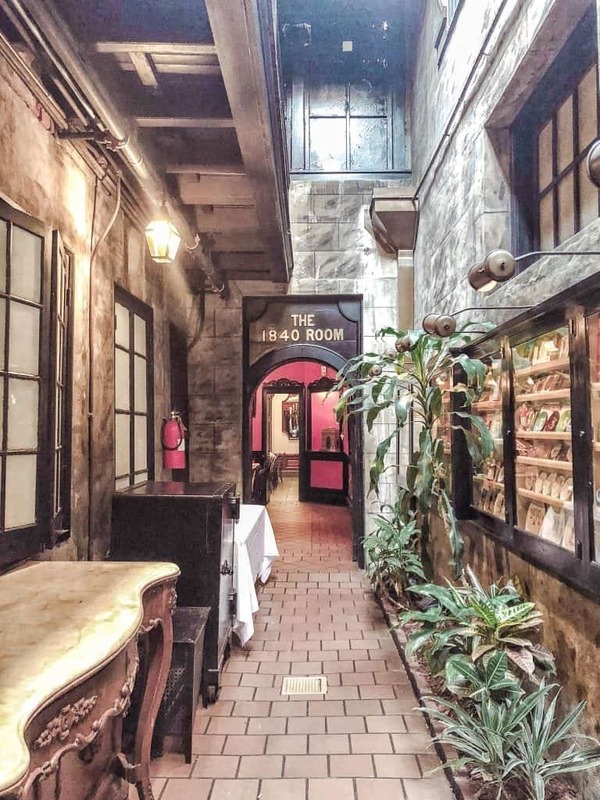 What I loved even more than all the cocktails I tried —you must get a Pimm’s Cup at Napoleon House — was learning about the history of the people that run these exquisite restaurants. 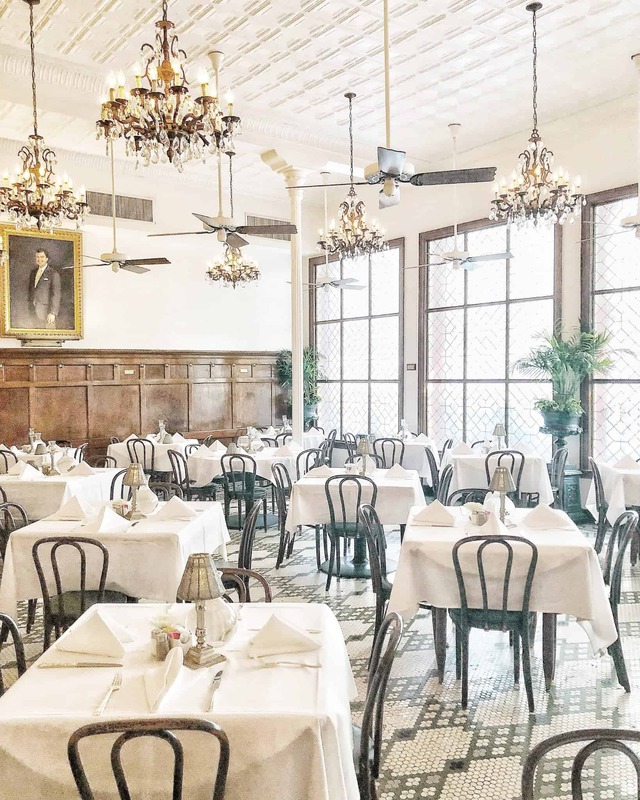 For example, Antoine’s restaurant is not only America’s oldest family-run restaurant, but they have 15 dining rooms and a wine cellar that can accommodate 30,000 bottles. They also invented a type of French fry also known as a souffle potato that takes 10 weeks to make before it is ready to be served to the guest. And right down the street is yet another iconic restaurant, Arnauds, whose bar is a James Beard award winner for their famed French 75 cocktail. Upstairs is a Mardi Gras museum which displays dresses worn by the daughter of Arnaud who was the queen of Mardi Gras 22 times and considered herself a Princess. This wasn’t too surprising as her father and restaurant owner, Arnaud, was a self-proclaimed Count. Have you been to New Orleans before? Did you find any parallels to Walt Disney’s amusement parks that I have missed? Please share in the comments below! Looking for other weekend getaways? 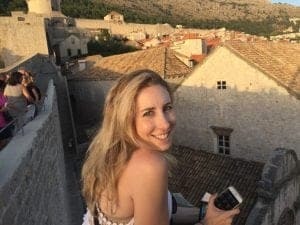 Check out some of my other posts for more travel ideas! Glamping In Arizona. In An Airstream. On A Peach Farm.